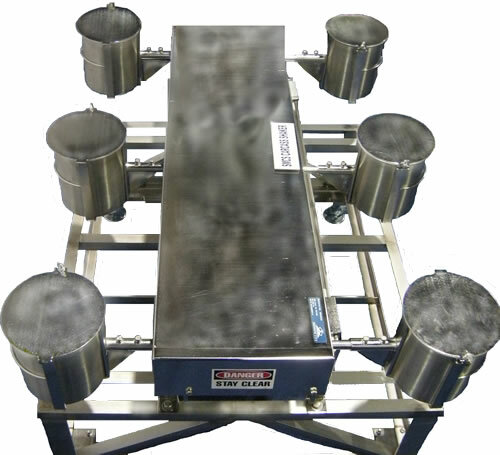 The SIMMONS SMCS MECHANICAL CARCASS SHAKER is one of the most satisfactory techniques used for sampling numbers and types of microorganisms on processed broiler & turkey whole carcass rinse. Stainless steel construction and other USDA approved materials. 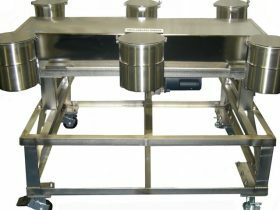 6 Buckets for Broilers – 7 1/4″ x 8 5/8″. 4 Buckets for Turkeys – 13 7/8 dia. x 15 3/4 deep. Cycle time with Electronic timer can be set up to 30 minutes. 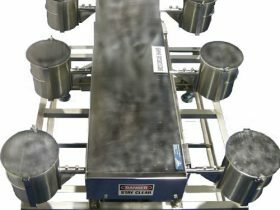 The technique used in the Simmons SMCS Mechanical Carcass Shaker involves placing the fresh processed carcass in a polyethylene bag with sterile water and shaking the bag vigorously by hand. When properly performed, this shaking may become extremely tiring, especially when a great number of carcasses are sampled. 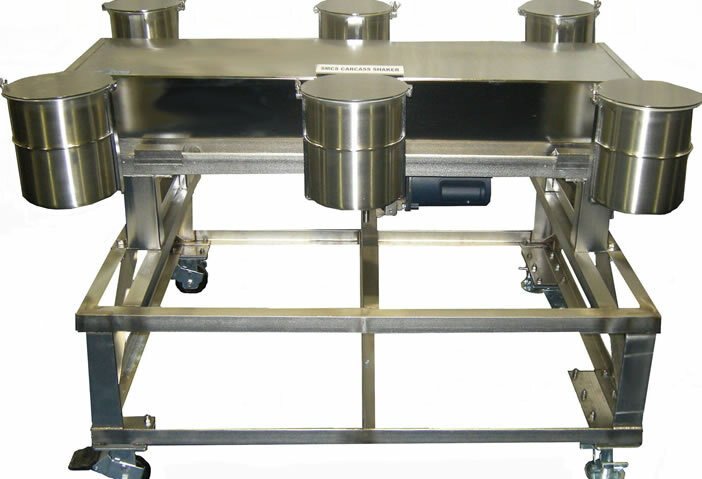 Inadequate shaking action may decrease efficiency of transfer of bacteria to the rinse medium. This can lead to not detecting types of bacteria that are often present in only small numbers such as Salmonella.